The Squamish industrial real estate supply is concentrated in the Business Park with a range of metal, concrete block and tilt-up concrete buildings. There are a few small land parcels available for development, but the long term industrial land supply is constrained. 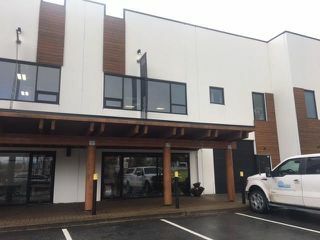 There is a moderate supply of strata industrial available for sale, for lease or freehold on a build to suit basis at the Sea to Sky Business Park (www.seatoskybusinesspark.com), a 20 acre site under development, that includes land. Concrete industrial space for lease ranges from $12-18 psf net rent, depending on the location. Warehouse and storage space for lease ranges from $6-10 psf net rent.